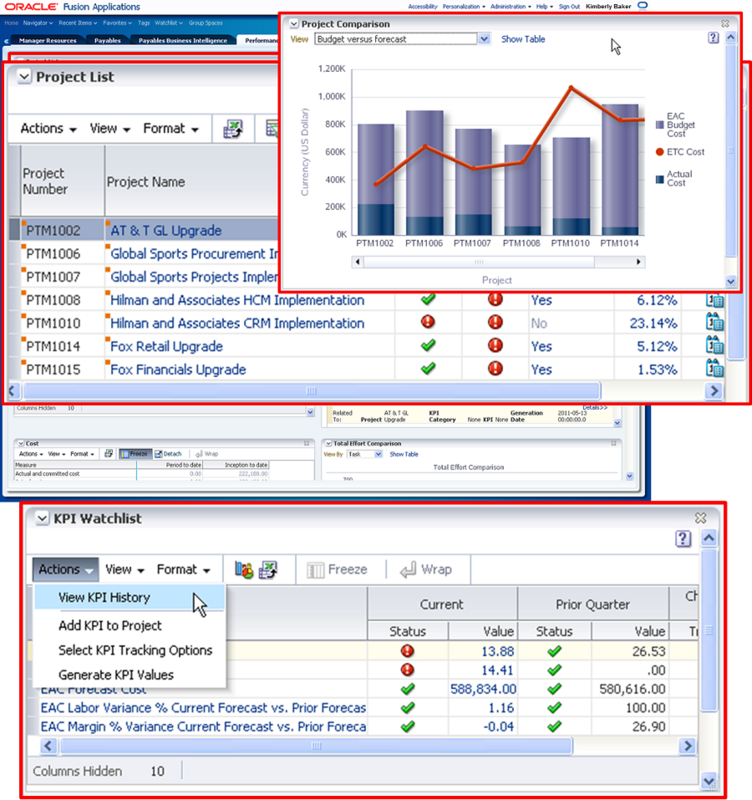 Project Partners Services Resource Planning (SRP) for Professional Services Organizations is a fixed price, rapid implementation solution for Oracle Cloud that provides proven business processes and embedded analytics to Professional Services Organizations (PSOs). Combining Oracle Cloud applications with Project Partners’ technology and Service industry expertise, this template based industry solution provides PSO’s the tools and unified platform required to empower them to attain their next level of maturity, performance and scale. Because it is a turnkey solution, customers will be up and live in only a few months. Project Partners Services Resource Planning for Professional Services Organizations deploys a cohesive, project centric set of operational and financial business processes, supporting workflows, and role based analytics. This empowers your Delivery, Finance, and Sales teams via timely information, cross-departmental interactions and automated administration. Major lifecycle processes include Project Creation to Cash and Financial Record to Report. Notable supporting processes include Manage and Estimate Project Opportunity, Define Contract and Project, Define Plan and Budget, Develop Project Staffing, Capture Time and Expense, Invoice and Recognize Revenue, Update Project Forecast. The result is greater revenue, profit, cash flow, client satisfaction, and employee satisfaction. And it’s all driven by real time actionable insight, greater user experience, higher data quality and accuracy, and facilitated process execution. 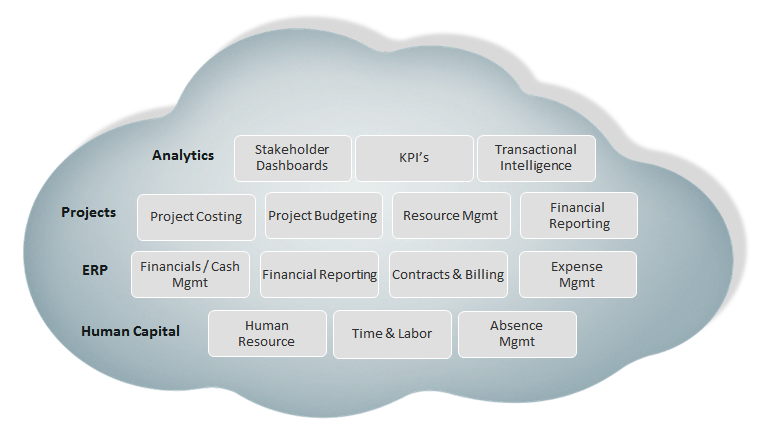 Many of the common challenges your business faces are already addressed through the automated processes and analytics of Project Partners Services Resource Planning for Professional Services Organizations. Rather than perform bottom up discovery, we assess your organization and business priorities to align them with the solution’s process and analytics model. While you may have some unique current practices or requirements, we rationalize these to limit design changes to only those that are truly necessary. As part of the training and adoption plan, focus is placed on process execution, application use, and the priority Key Performance Indicators (KPI’s) that will drive rapid return to your business such as project overruns, utilization, and sold bill rates. 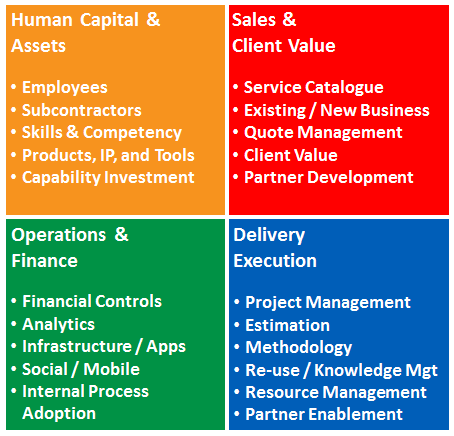 How Much Can Services Resource Planning for Professional Services Organizations Help You? Interested to see how your business can benefit from better visibility and automated processes? Use Project Partners’ Service Performance Improvement Calculator and find out. Studies show that the more mature a project-driven organization's processes, the greater their profitability due to improved efficiency, lower costs, increase in utilization and reductions in project overruns. Services firms can now attain this improved performance by implementing a unified set of business management applications that enable more efficient execution and provide timely, reliable business information. Register and read it here. Business applications for project based organizations rely on project financial management applications to provide a single source of truth for all project information. This video demonstrates the value of integrating financial applications with delivery and execution systems such as Project Financial Management applications with Enterprise Resource Planning (ERP), Human Capital Management (HCM), and Supply Chain Management (SCM) applications. Register and watch it here. Learn how to mature your organization's execution to attain new levels of services performance.